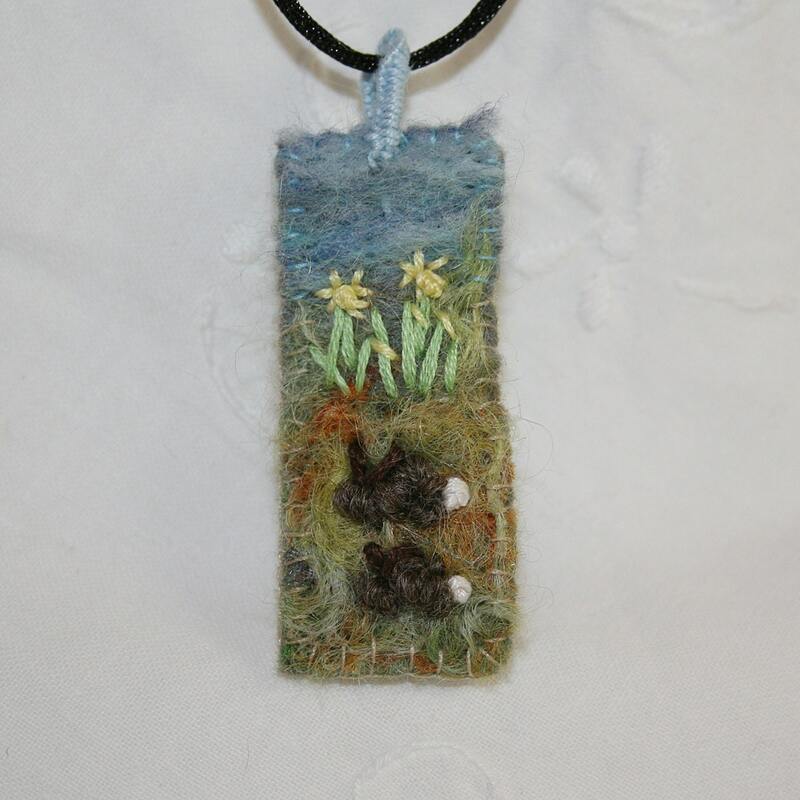 Two cute little rabbits are embroidered, in a mixture of wool and thread, onto a felted background. Tiny embroidered daffodils complete the design. The pendant is hung from a cotton cord closing with a lobster claw clasp and extension chain. The background for this pendant has been created by felting a variety of fibers onto a commercial felt background using an embellisher machine. Daffodils have been stitched in embroidery cottons. The tiny rabbits are embroidered in a pure wool yarn, with details being added in embroidery thread. Purple & Polka Freckles on Flickr - Photo Sharing! Folksy :: Buy "Hector Rabbit Knitted toy"